Klayman: Would Maxine Waters Be of the Same Opinion If Jussie Smollett Were White? 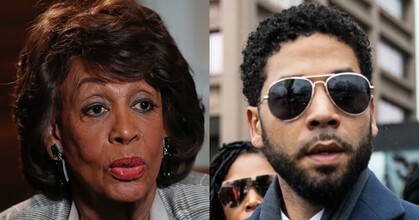 Rep. Maxine Waters, D-Calif., thinks Illinois state prosecutors' move to drop charges against actor Jussie Smollet over filing a false police report was the right move. "It's the correct thing that the charges were dropped," Waters told Extra TV at the 50th Annual NAACP Image Awards on Sunday. "First of all, we probably will never know all of the details. We've heard a lot of information. Waters was honored with the Chairman's Award, an award for which Smollett, who is an actor on "Empire," was also nominated.